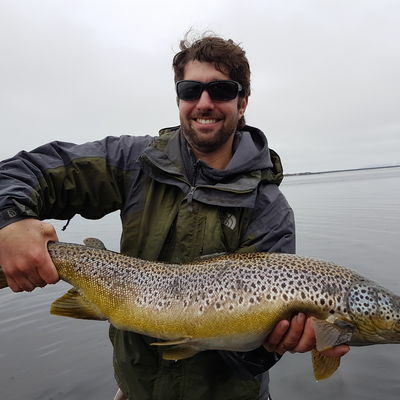 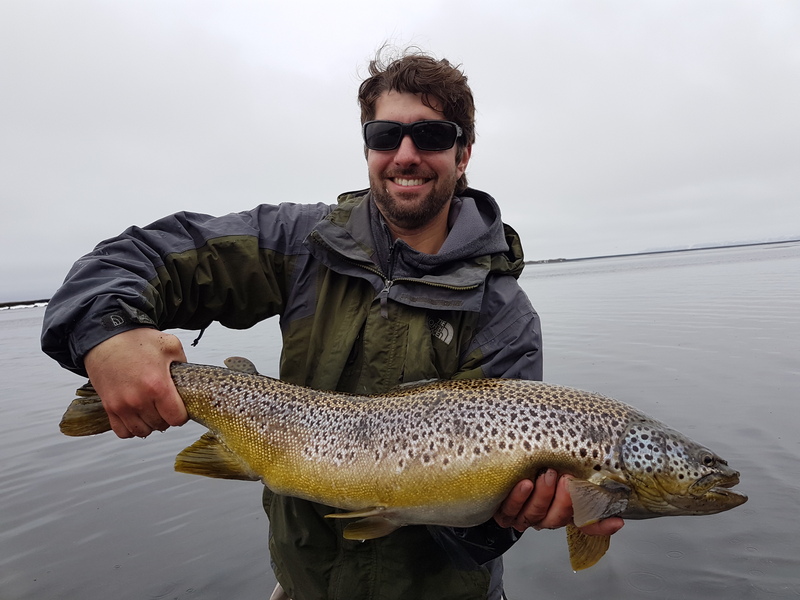 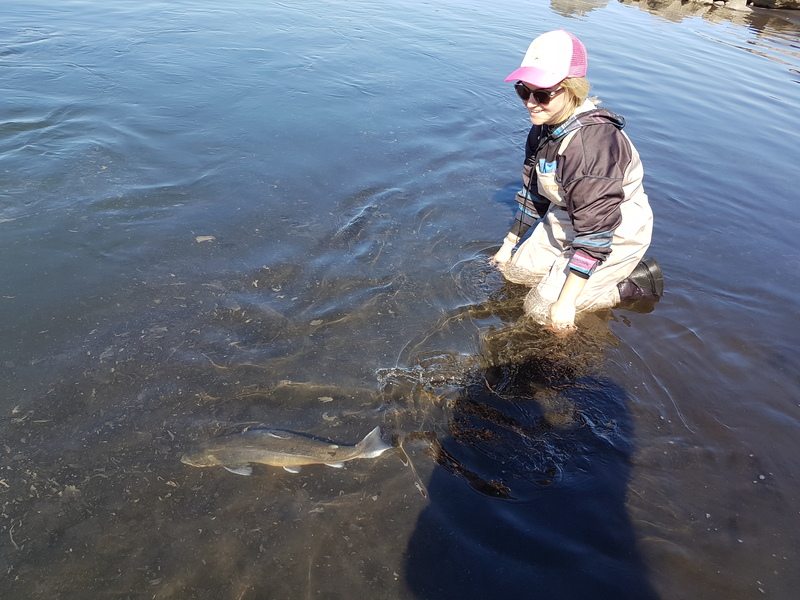 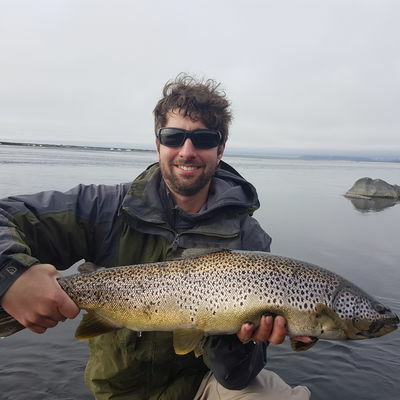 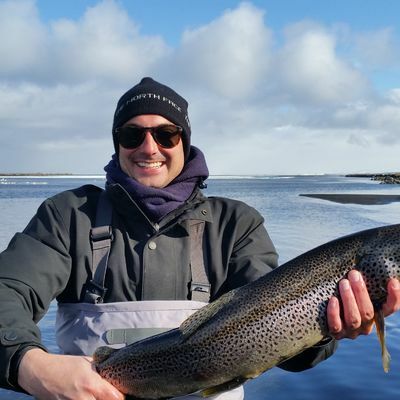 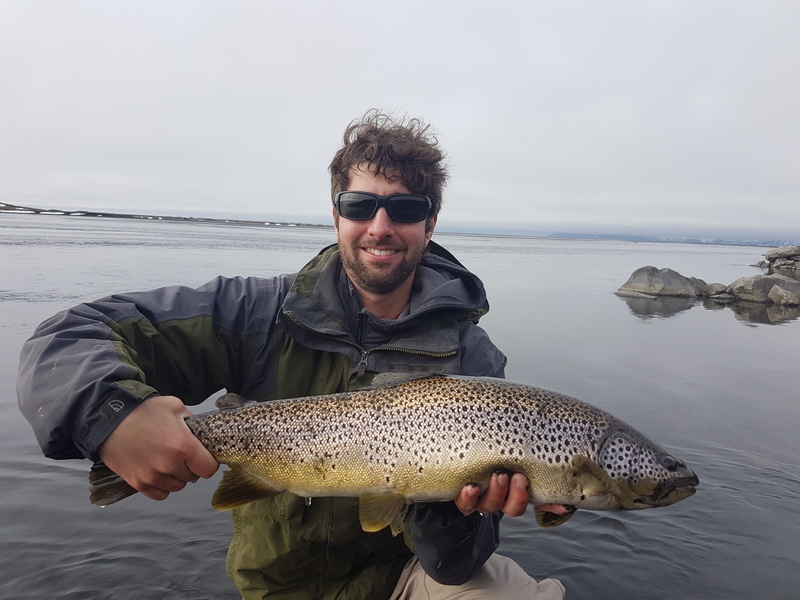 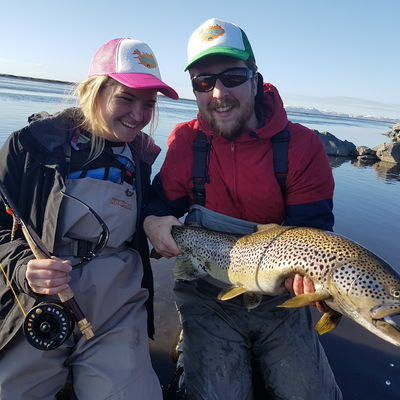 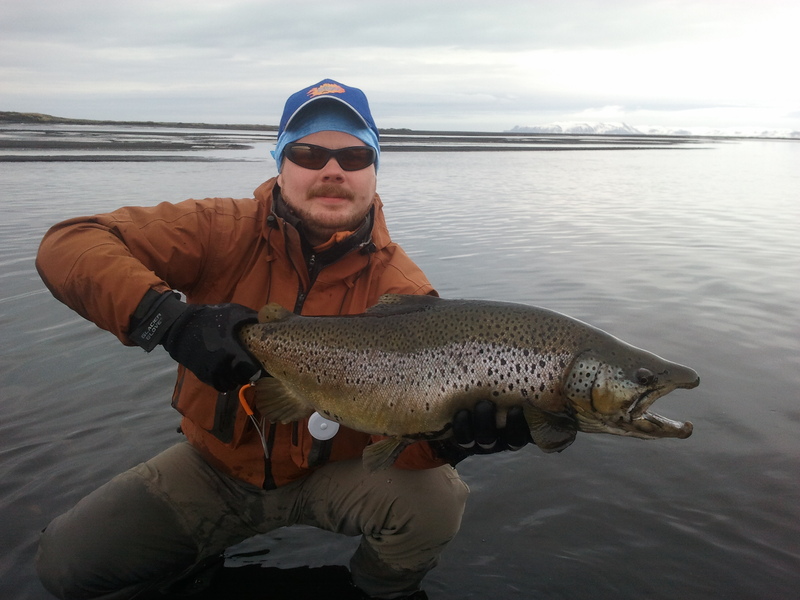 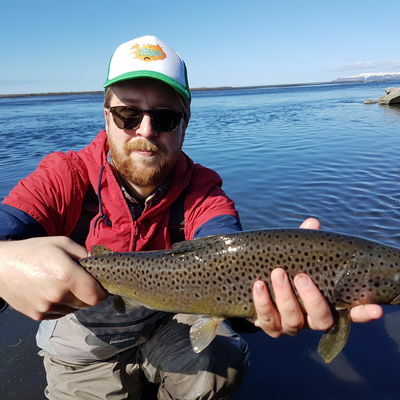 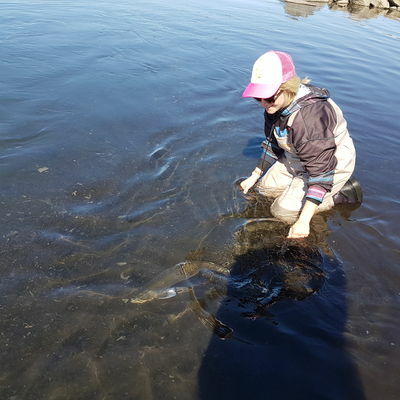 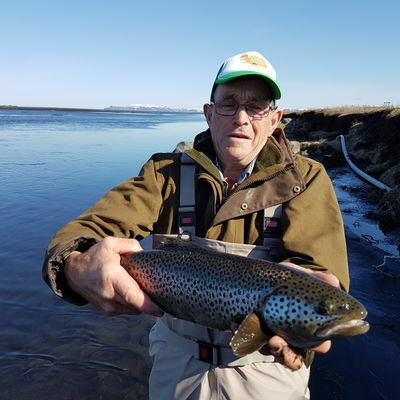 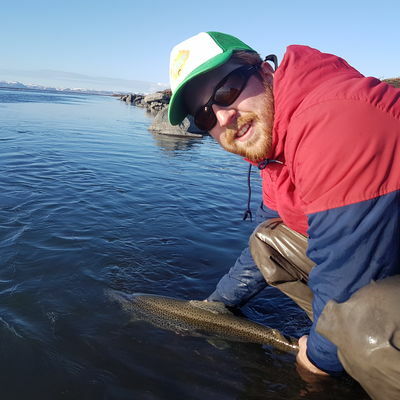 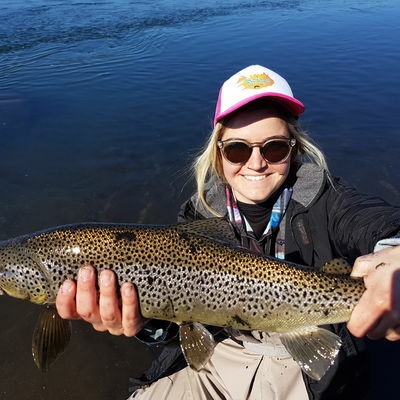 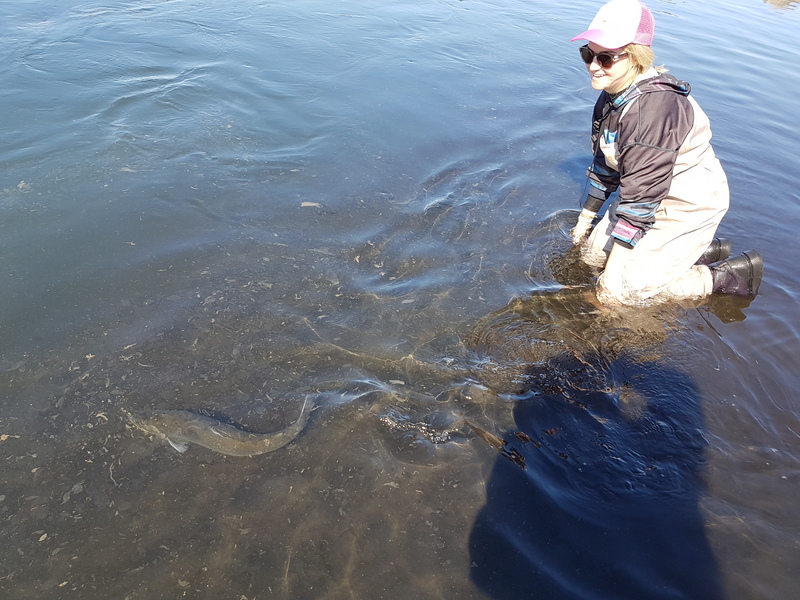 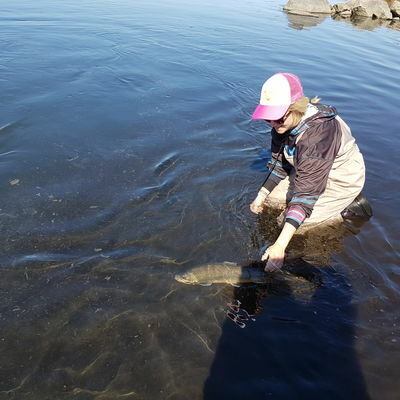 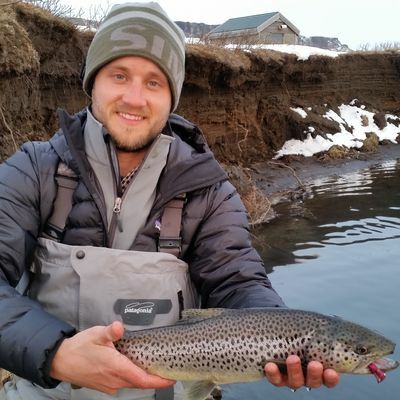 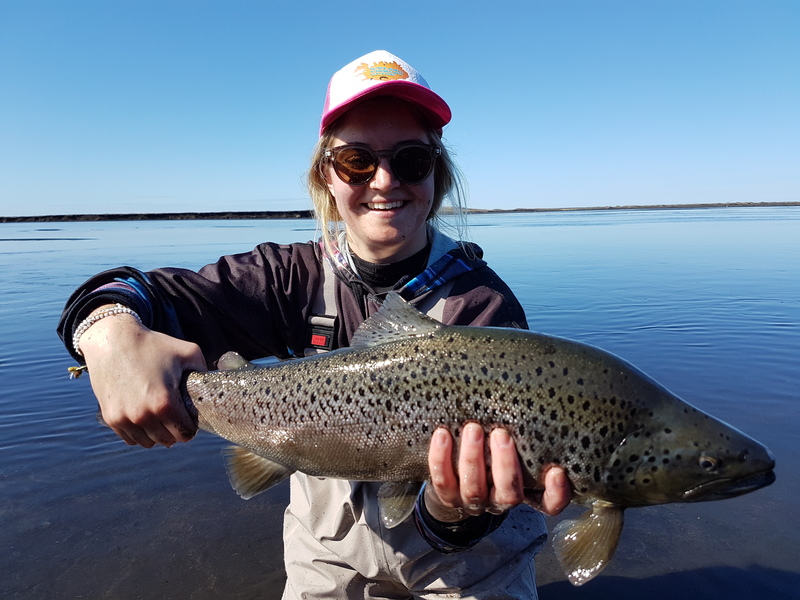 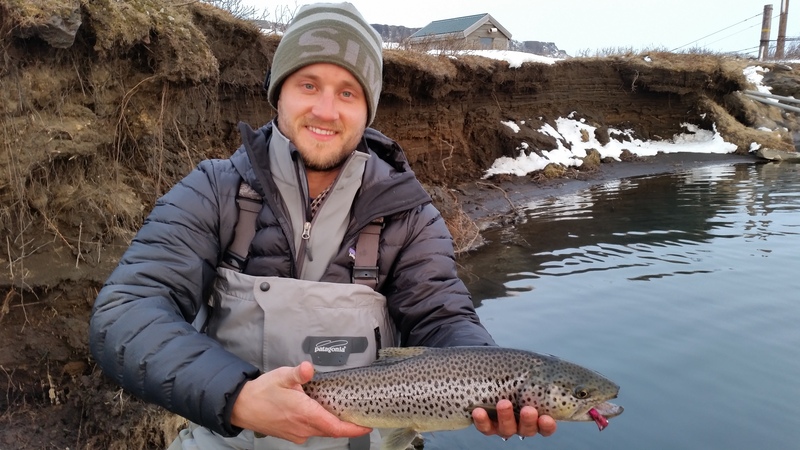 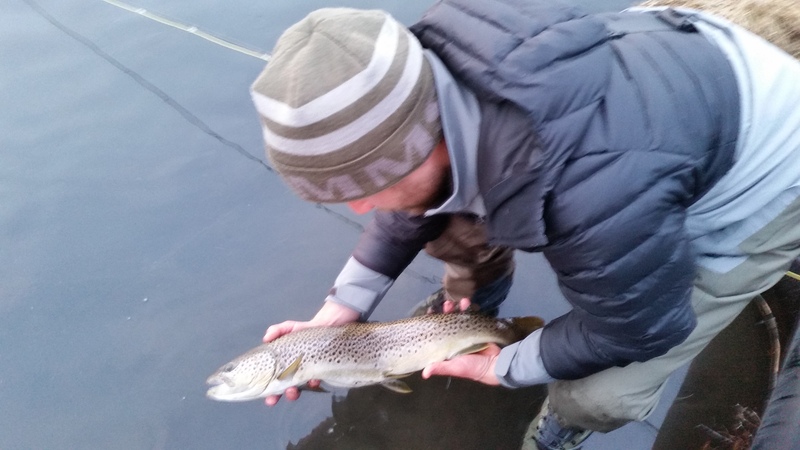 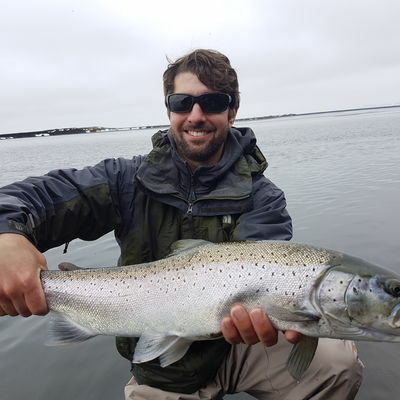 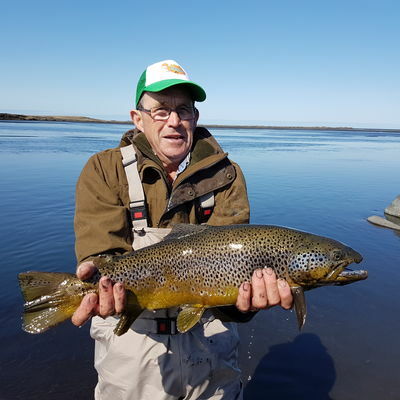 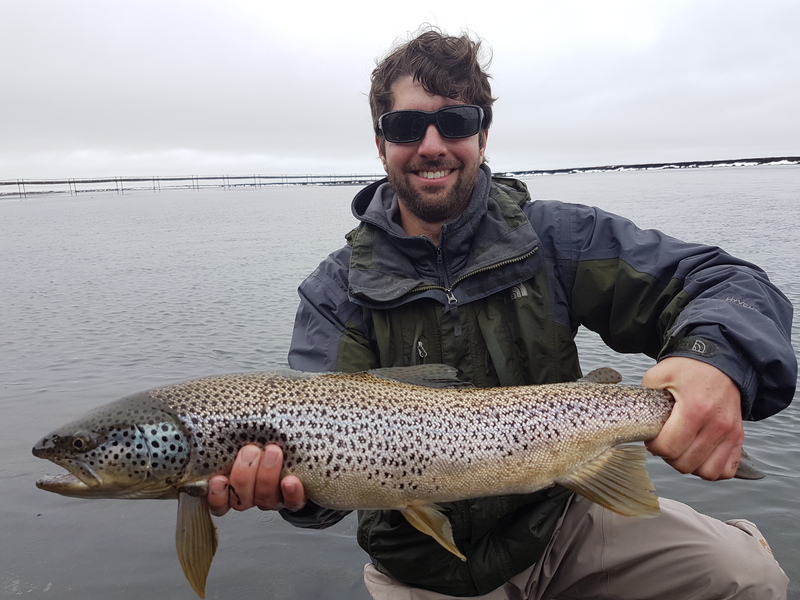 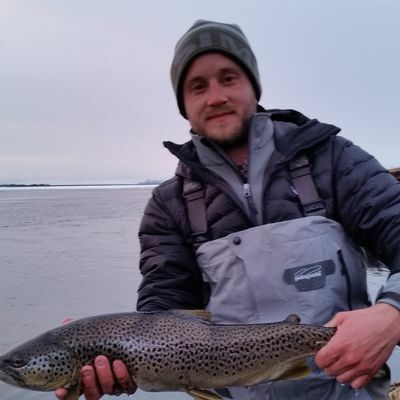 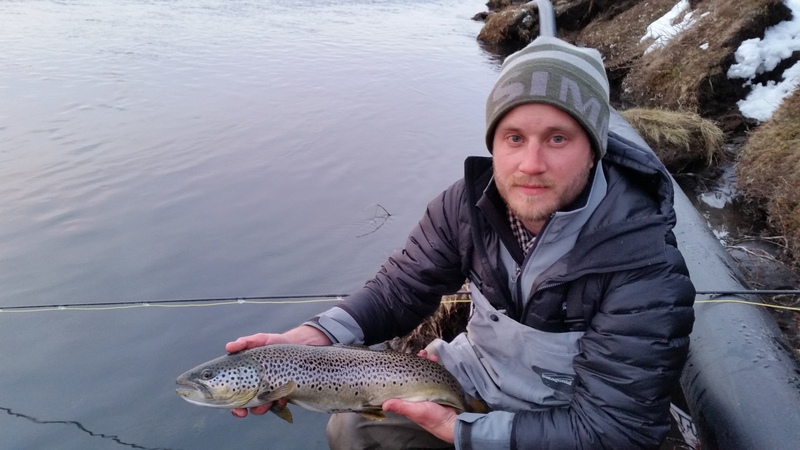 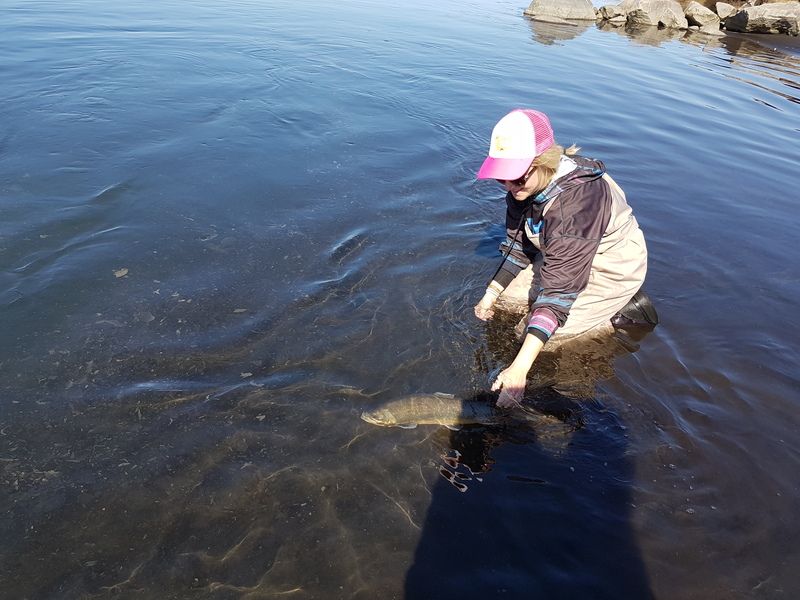 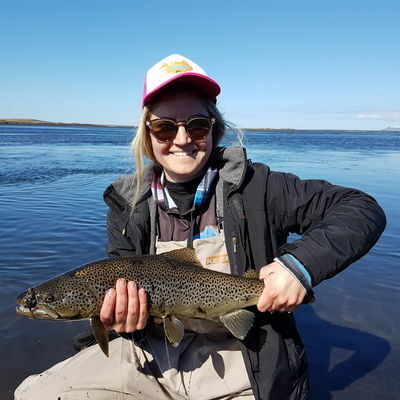 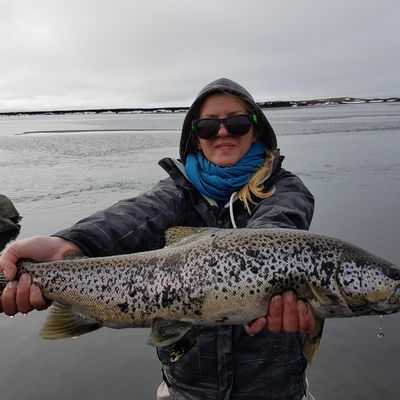 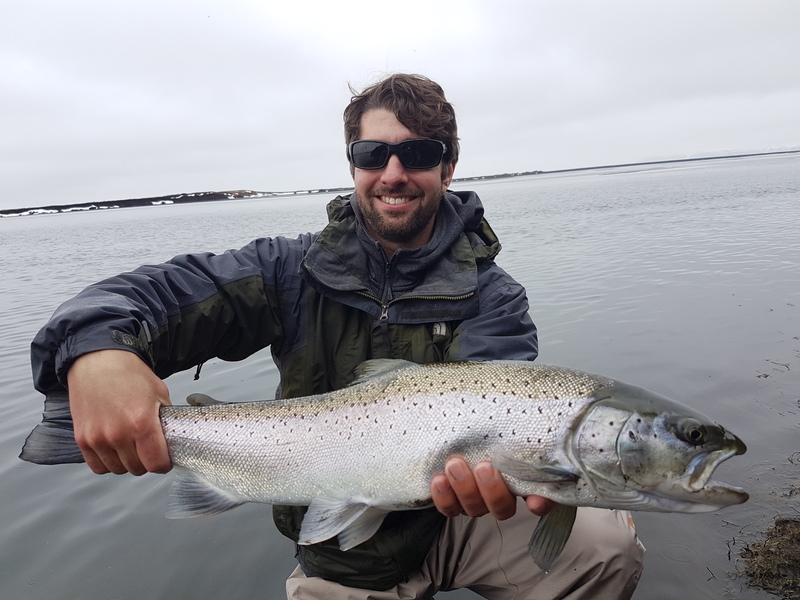 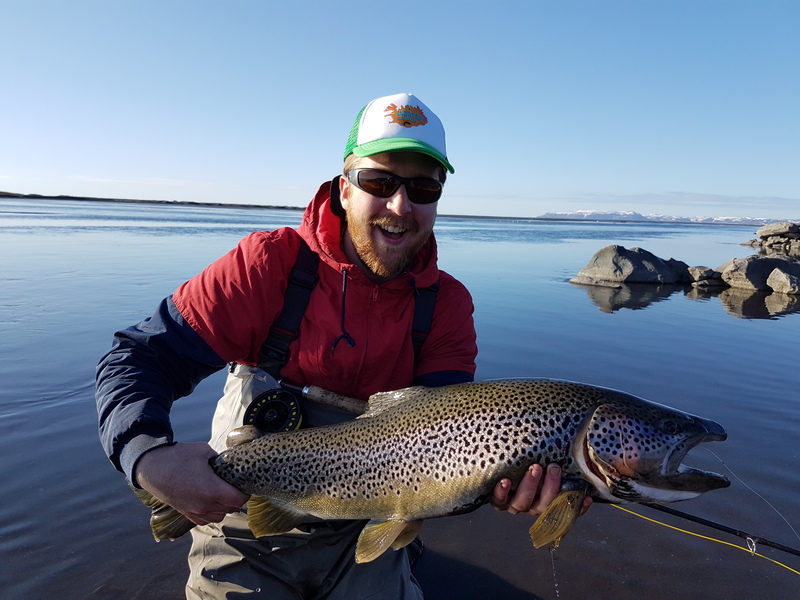 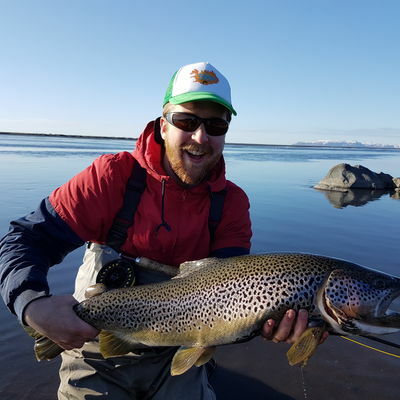 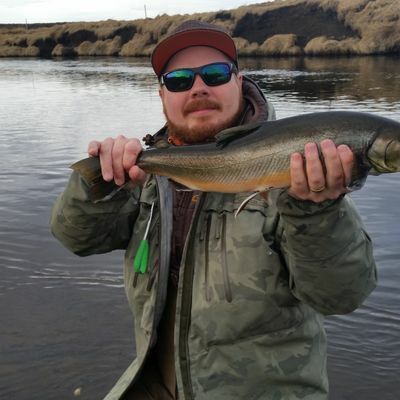 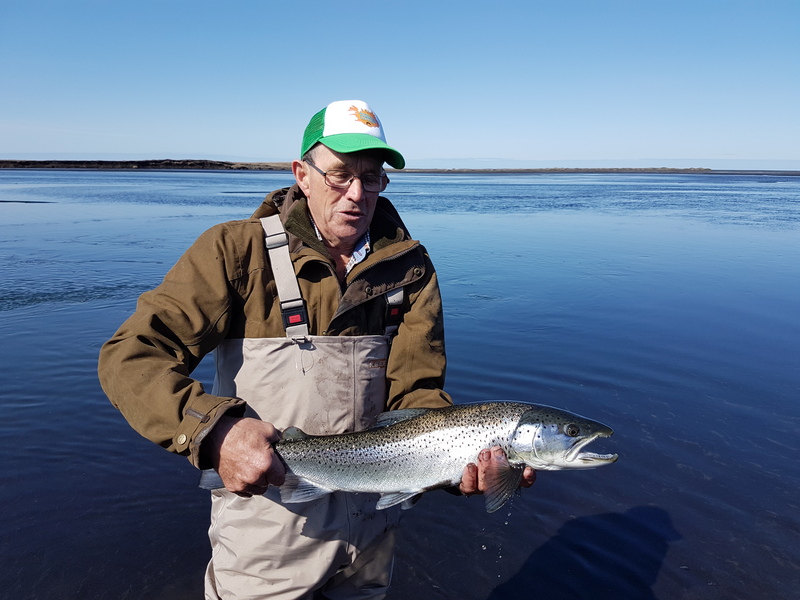 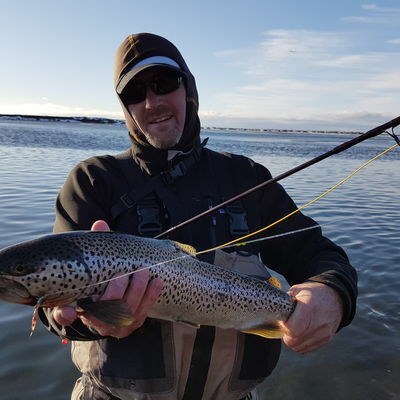 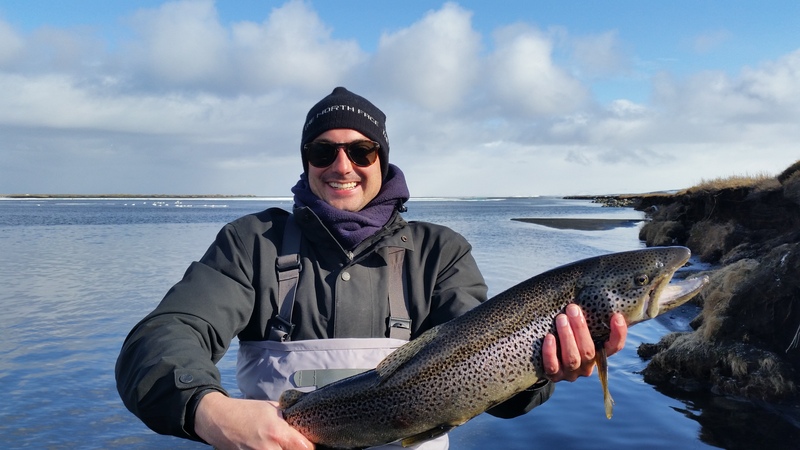 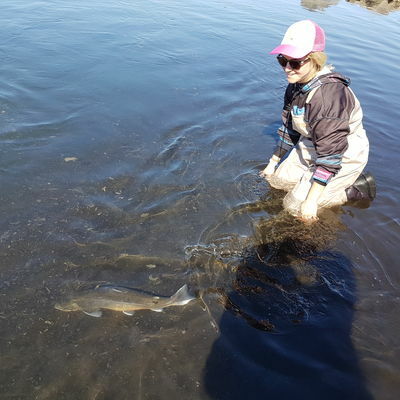 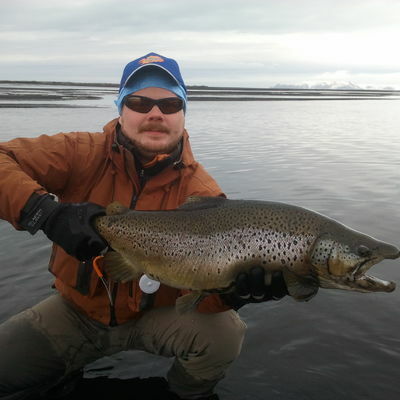 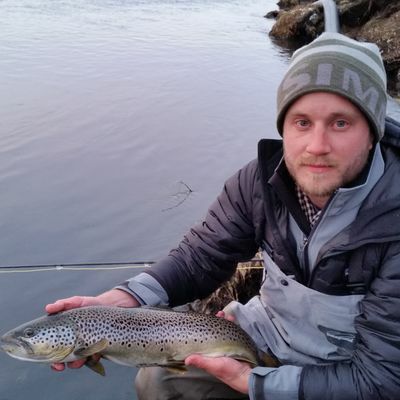 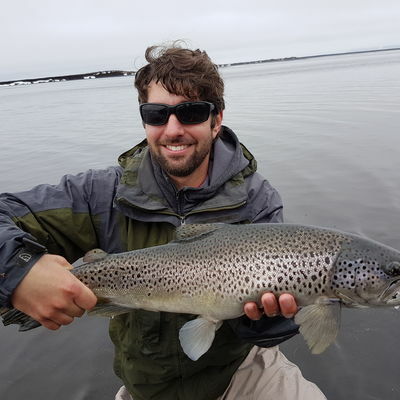 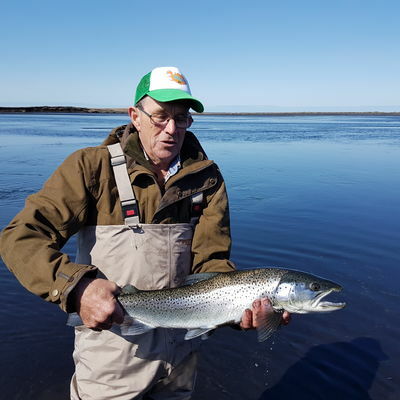 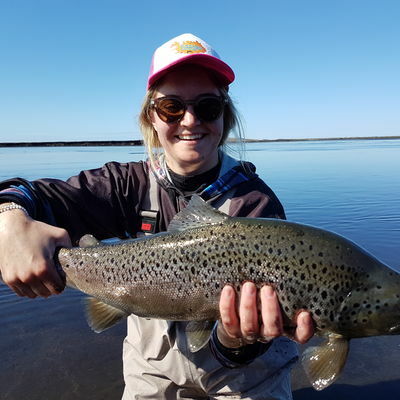 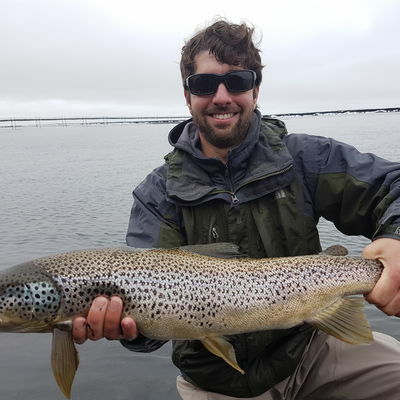 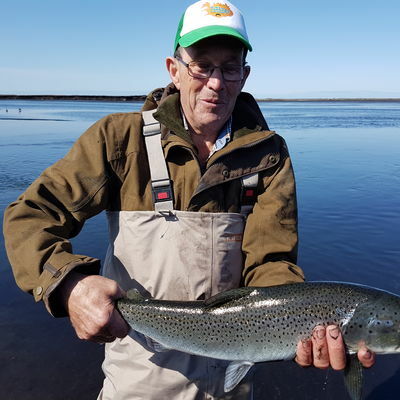 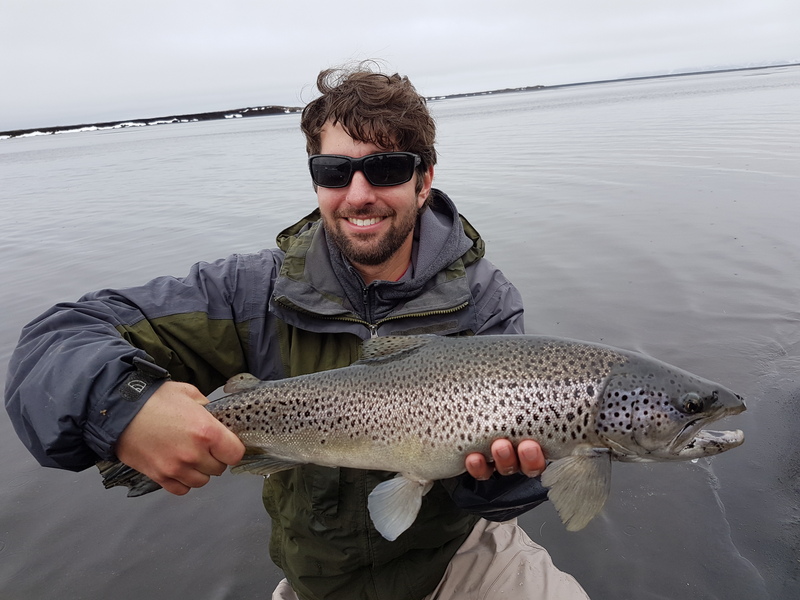 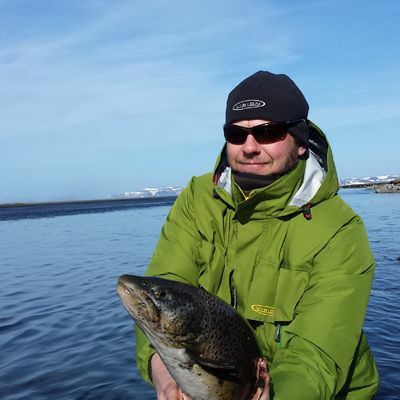 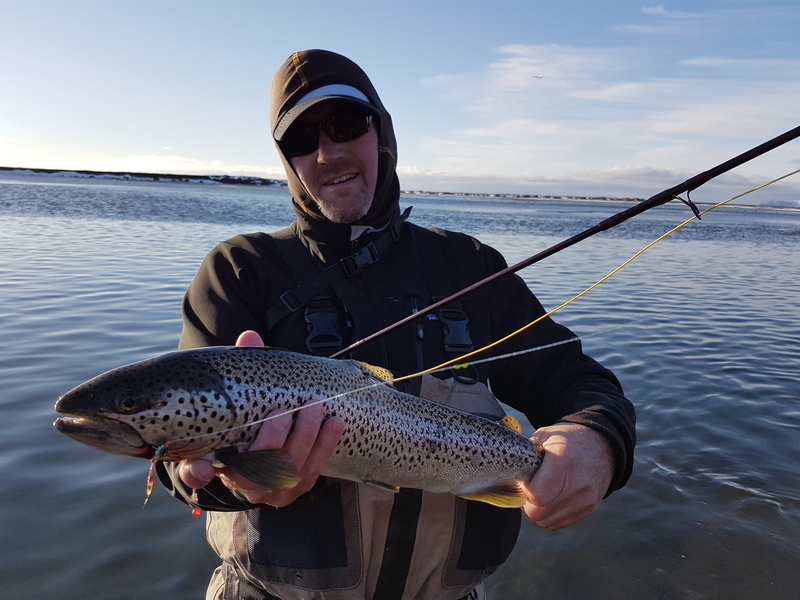 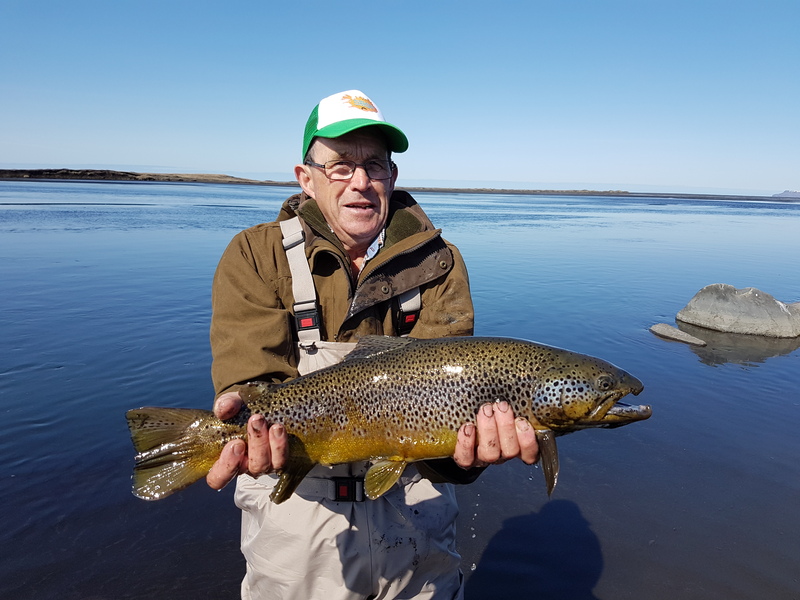 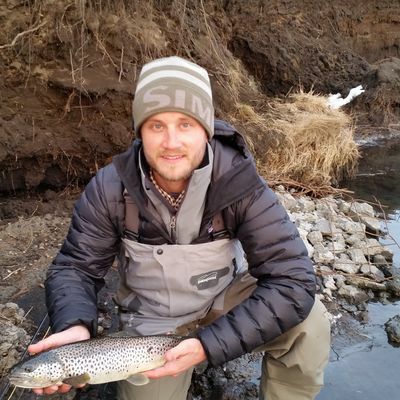 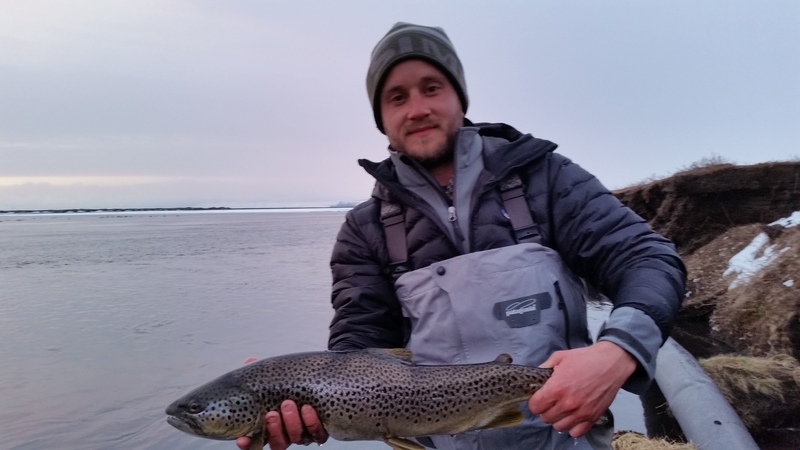 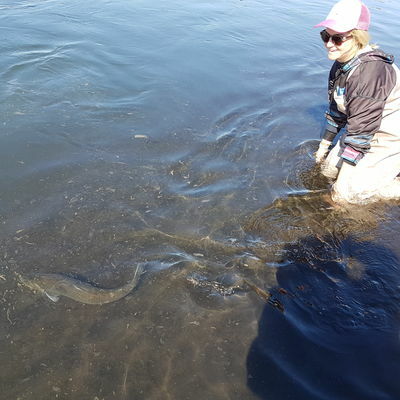 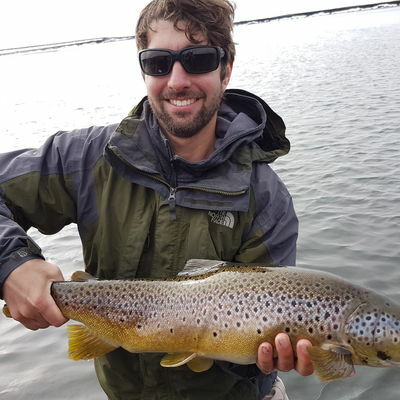 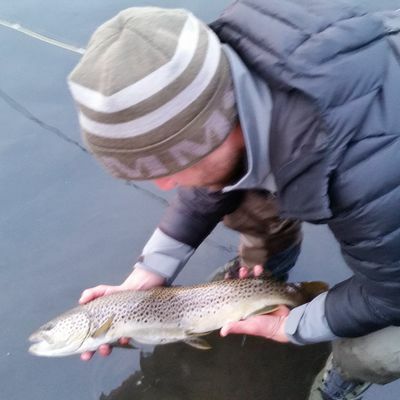 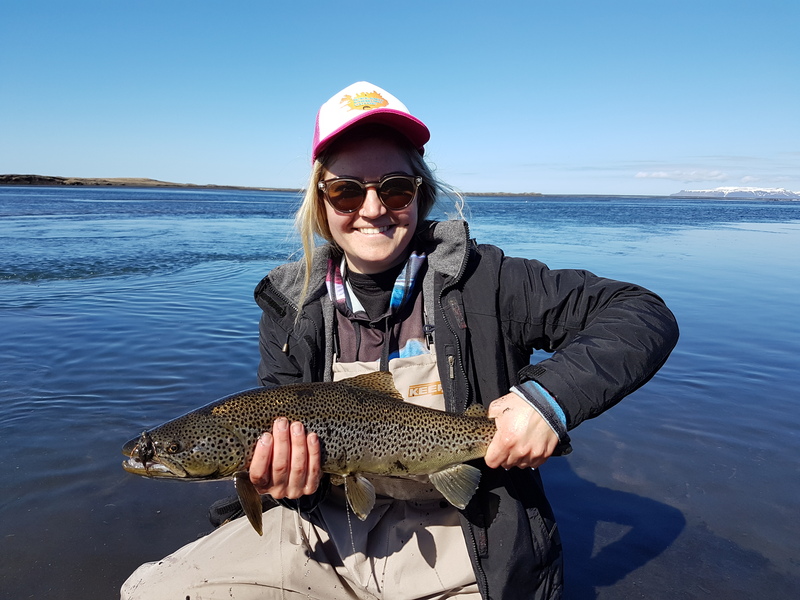 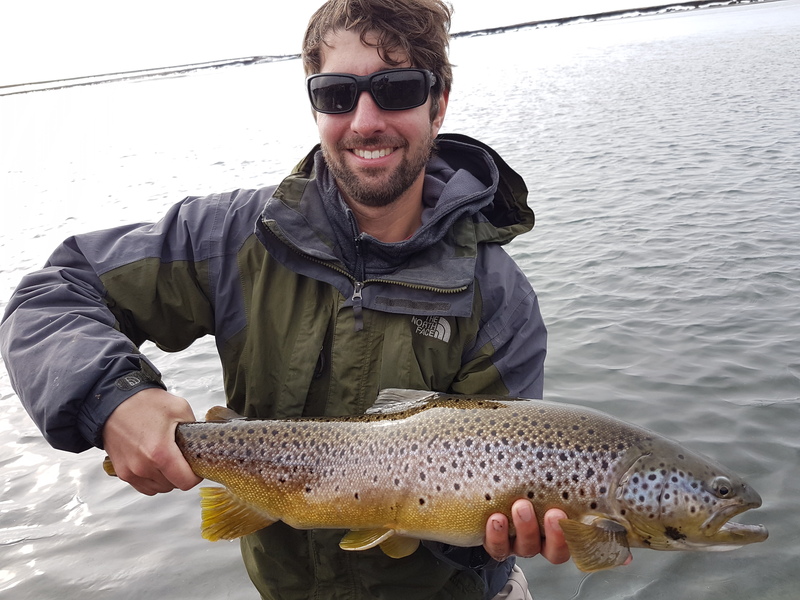 Iceland Fishing Guide – Fly fishing in Iceland – Salmon fishing in Iceland – Arctic char fishing in Iceland – Brown trout fishing in Iceland » Brunná in Öxafjörður (Trout & Char fishing). 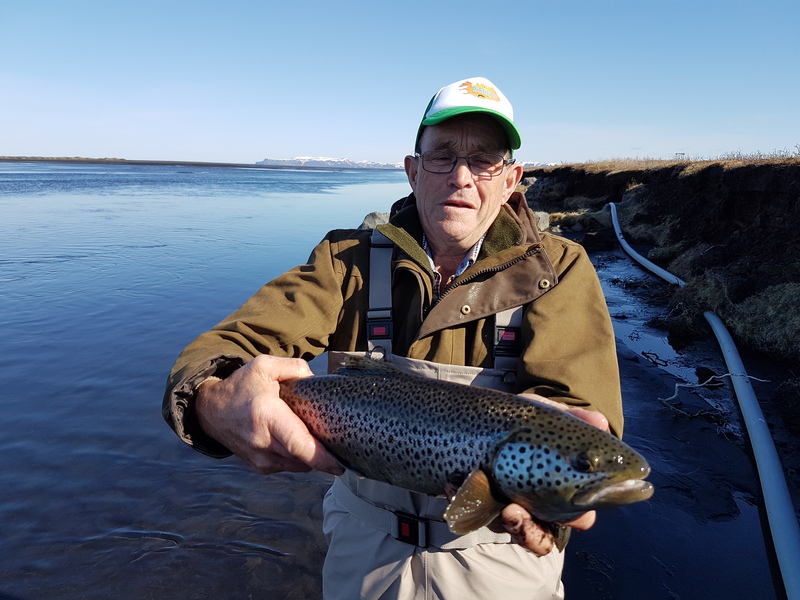 River Brunná in Öxarfjordur is a gin clear arctic char and sea trout river on the north/east coast of Iceland. 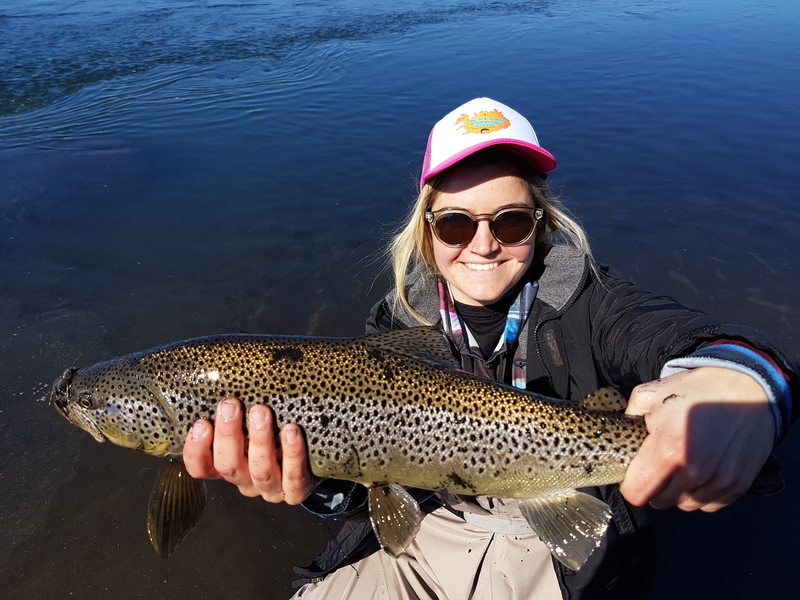 This spectacular river Brunná flows through wonderful surroundings, offering areas of unique beauty and diversity. 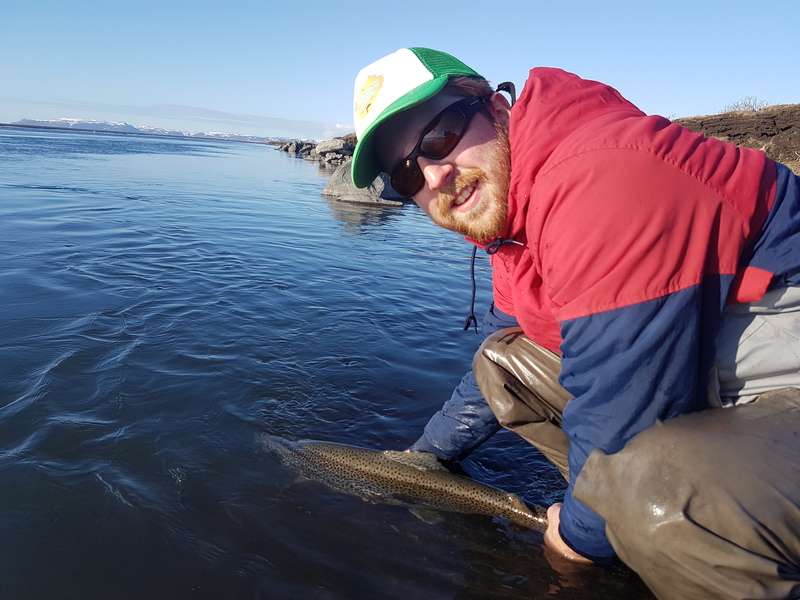 The river flows through brushwood country and at its lower reaches it combines with a branch of the glacier river Jokulsá, creating the much sought after visible line of clear and mud-colored water. 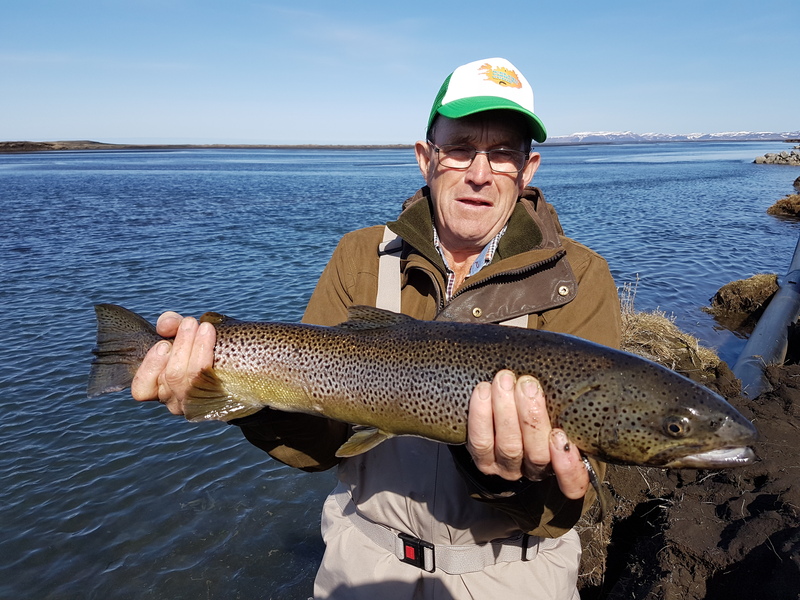 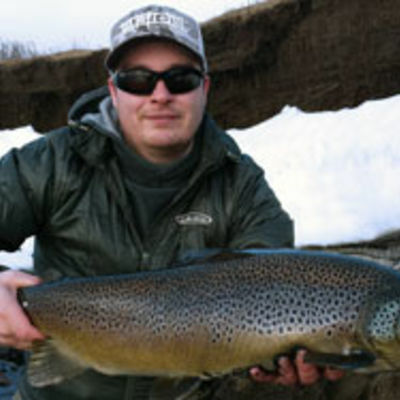 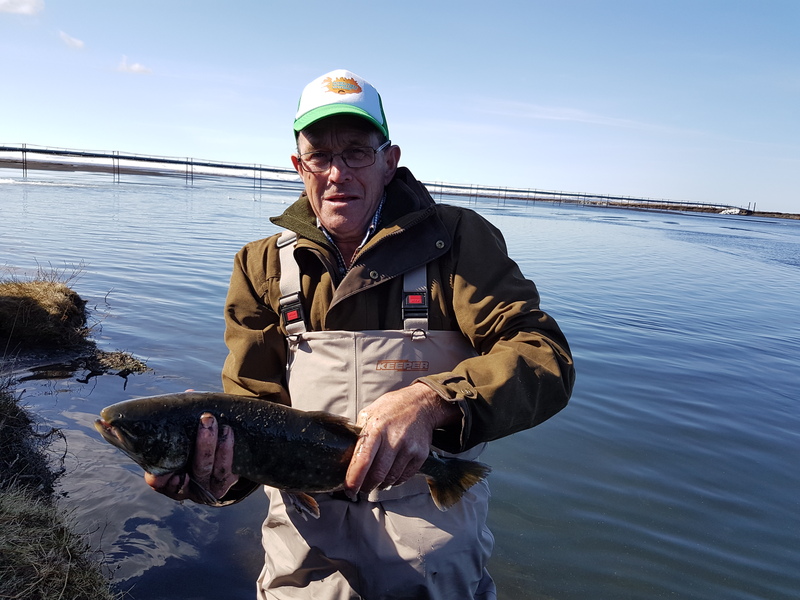 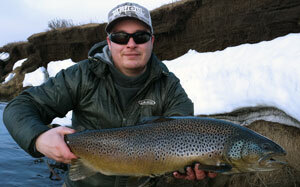 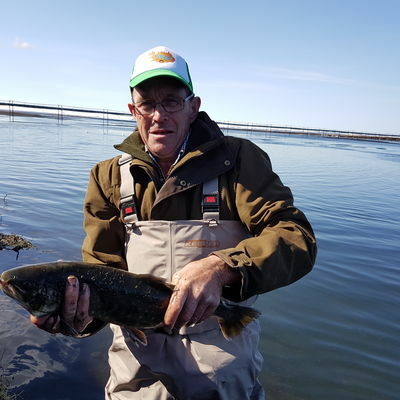 The angling season for Brunná begins in April with the sea run and brown trout as the main catch. 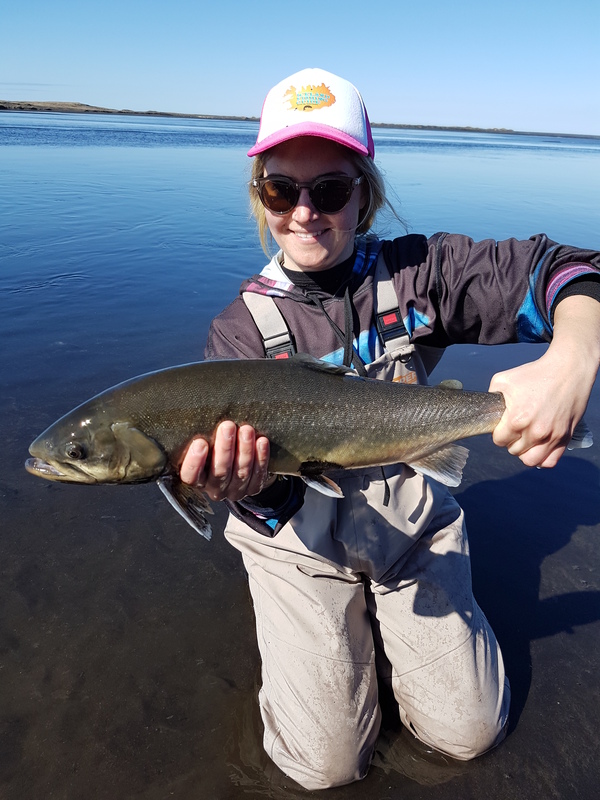 From thew middle of June to the end of season (October) the arctic char and brown trout is for the most parts the main catch. 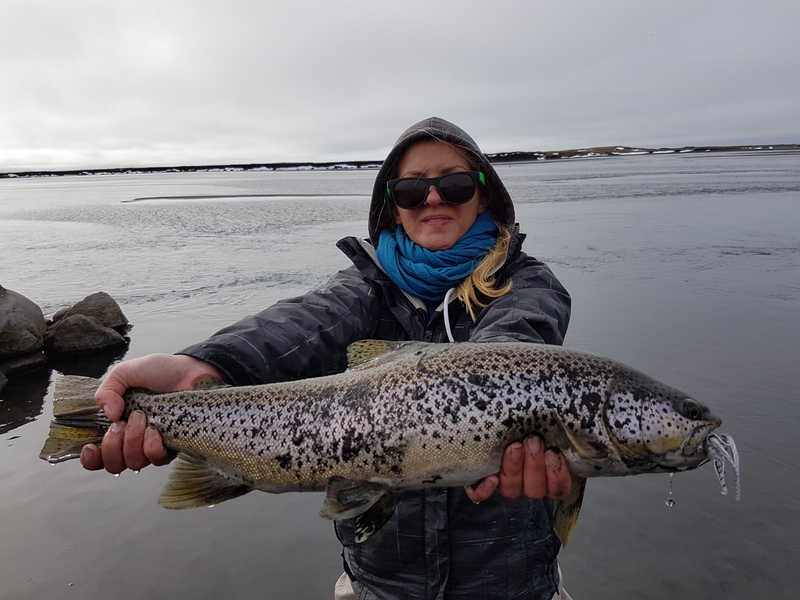 The sea run char starts its journey up Brunna in early June. 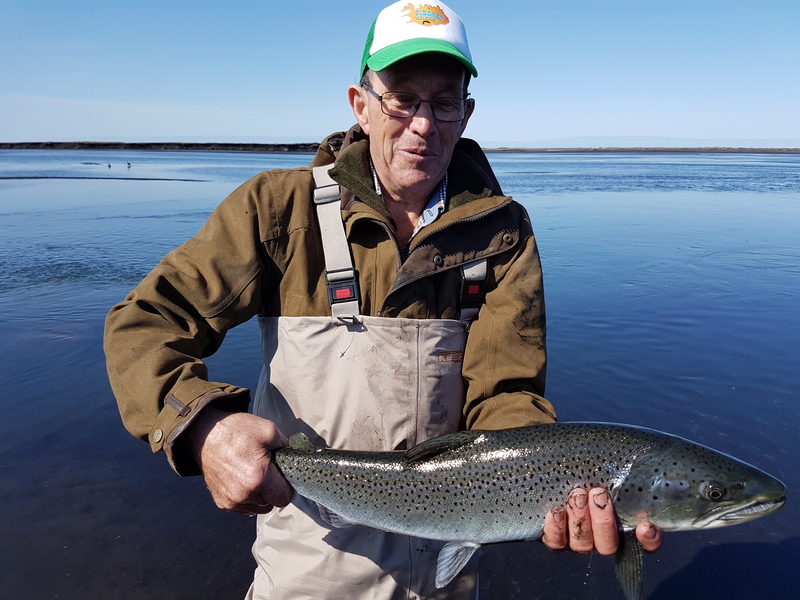 Sea run trout shows up at their traditional time, towards the end of August. 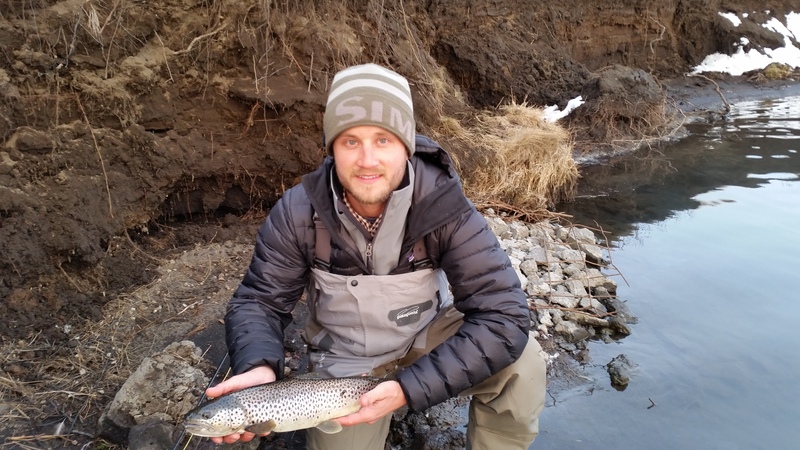 It is believed by the locals that the sea run trout in Brunná shows up when the mountain tops have turned white, the clear indication of changing temperature. 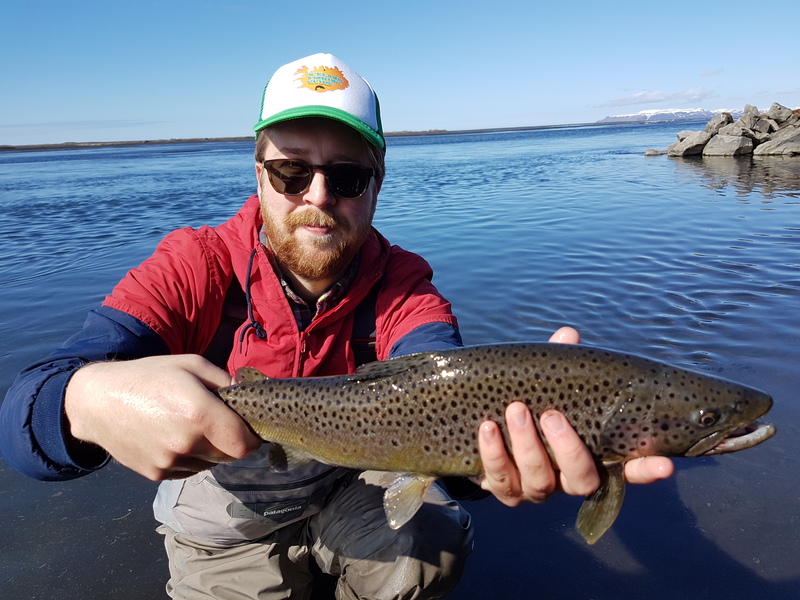 The nature of Brunná is unforgettable. 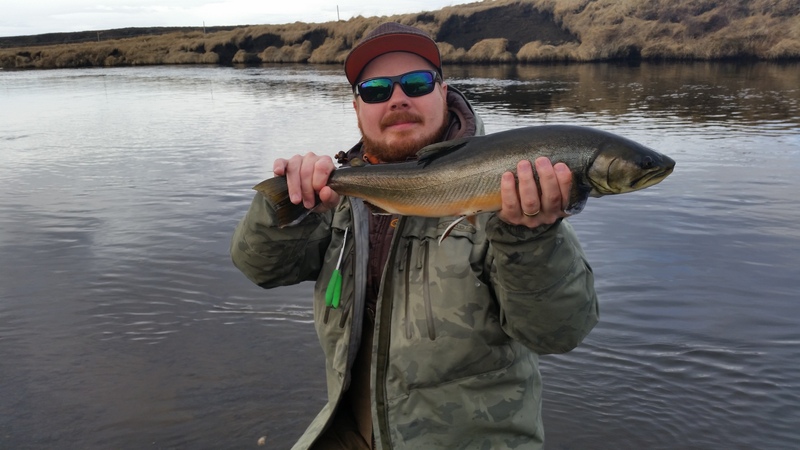 The gin clear river holds many beautiful fishing spots. 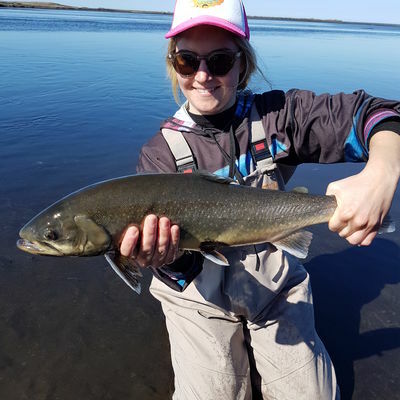 Brunná river stands apart from other rivers in the region for the fact that it runs crystal clear most all of its way to sea until it meats a branch from the river Jökulsá carrying its gray colored glacier sludge. 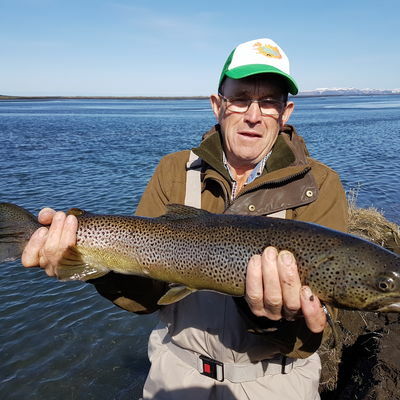 The lodge accommodates 6-8 persons and truly a nice and relaxing fishing and hunting lodge.Walking distance from the fishing lodge is a tourist service area called Lundur. 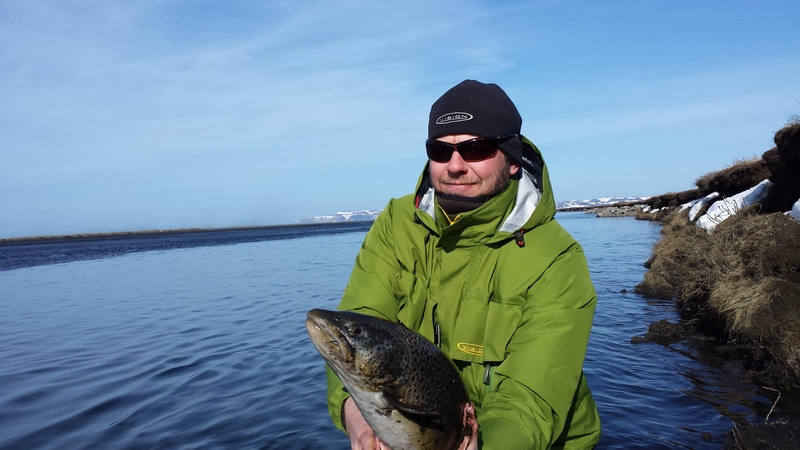 Not far away is also a small grocery shop. 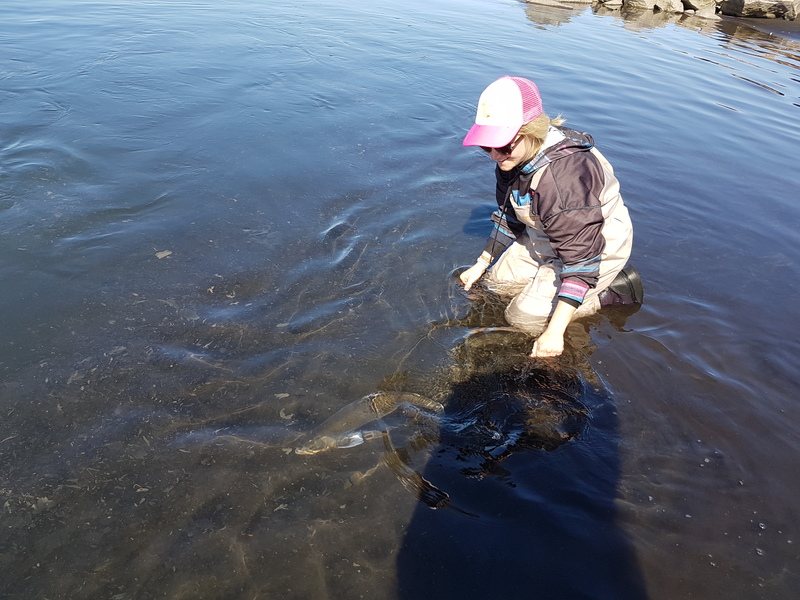 In the Lundur area one can also find a geothermal outdoor swimming pool. 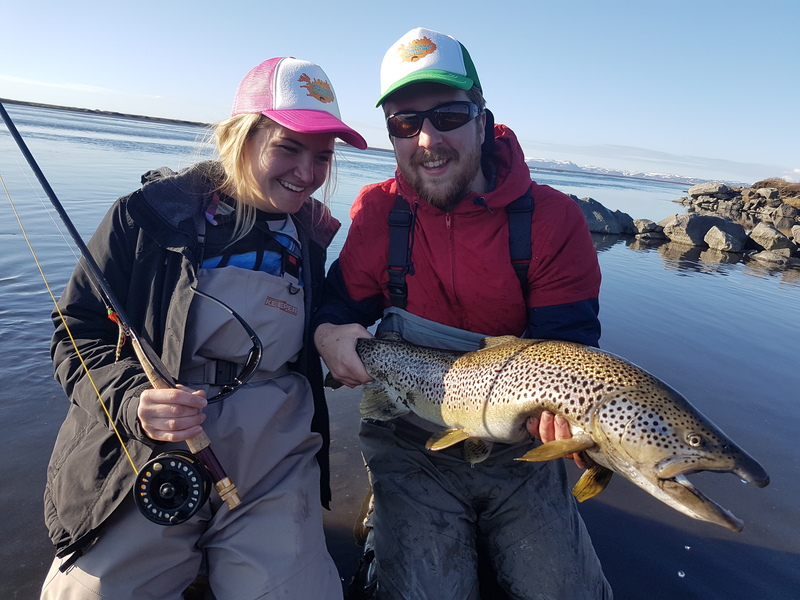 From early August to the beginning of December the Brunná region is also known as Icelands premier hunting grounds for goose and ptarmigan.